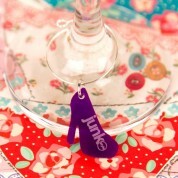 Adding personalised charms to each wine glass will create the perfect place setting for each girl (or boy). 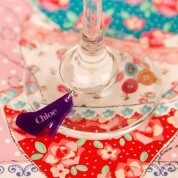 The extra touch will put a smile on the girls faces as they take their seats at the table. The recipient will love toasting a special occasion (birthday, house warming, new job) with a glass of wine (or even champagne) inside their glass with their personal wine charm. 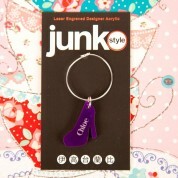 Material: Acrylic, Colour: Purple Dimensions: measures approx 3cm and is approx 3mm thick acrylic.